Are you planning on developing custom projects in your company? How about reducing projects’ development costs by 50%?! How about eliminating projects’ maintenance costs by 90%?! With KWizCom’s Shared-Cost Development Model You Can Do That! 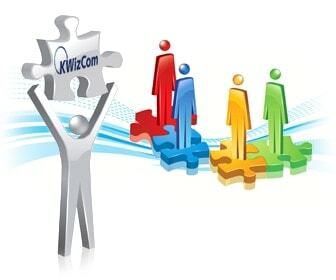 When Kwizcom sees potential in developing your custom project as Generic solution, we will estimate the cost of development and will offer you to develop your custom solution at half the cost!Unlike any other service provider – we actually partner with you by sharing your development costs and risks! With 40+ different SharePoint products, we leverage our extensive product development & QA framework expertise and business experience to save time, reduce risk , and develop your company’s custom solution as a generic product. This means we make sure the product is a standard SharePoint add-on according to Microsoft’s guidelines; ensuring flexible and easy up keep, in order to reduce future maintenance costs.The solution will go through our product QA cycle which includes functional, performance, and accessibility tests, making sure your custom solution is completed, prepped and ready to be used by your internal customers from the onset! Here is where you save big! It is a well-known fact that the longest part of a software solution life-cycle is the maintenance part. In order to maintain your developed solution you need to have end-user support, fix bugs, develop change requests and continually update your solution when SharePoint service packs and new versions are released by Microsoft.After we deliver your custom solution, we will move forward to release that custom solution as a KWizCom product. From this point onward, KWizCom will manage the product’s roadmap and will provide support services, effectively eliminating over 90% of your maintenance costs! Save over 50% of your development and maintenance costs! Take advantage of our Shared-Cost Development offering, and partner with us to develop your next custom project and benefit from a high product-quality delivery and support! Please contact us at sales@kwizcom.com for further information.